Santa is in a bit of financial trouble this Christmas when his nasty banker calls in his loan on Christmas Eve! The Banker flies his helicopter after Santa’s sleigh and destroys the sleigh with a missile, scattering all the presents for the children everywhere! 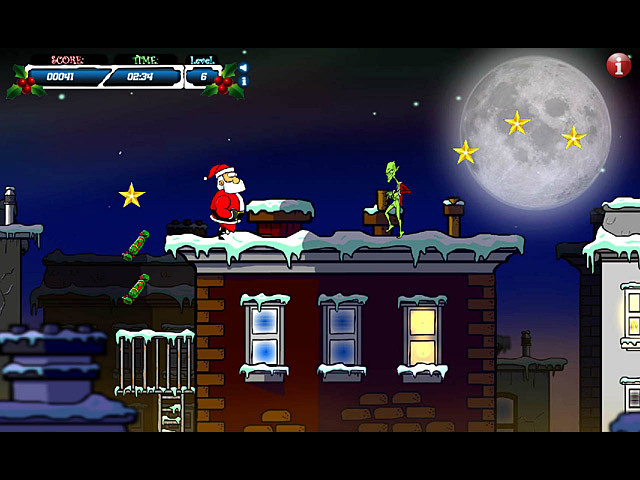 From trailer park suburbia to uptown, help Santa collect the presents and avoid Jack Frosts, Evil Elves and Crazy Grinches through 8 challenging levels. Can you help Santa save Christmas? Santa Vs. Banker is 100% safe to download. 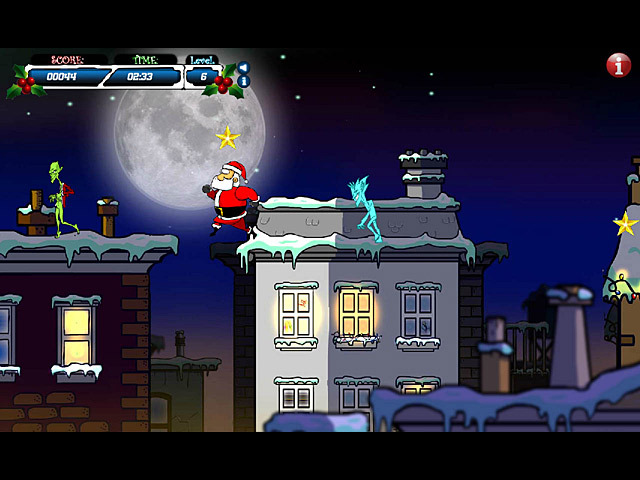 You can download Santa Vs. Banker for free and try it for 60 minutes to decide whether you like it or not. 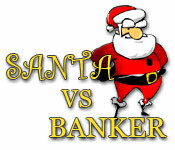 If you like it, you can purchase Santa Vs. Banker instantly and securely online. Help Sandy save her granny's toy shop, one holiday gift at a time! The pursuit of the perfect present has never been so much fun!